THANK YOU ALL FOR YOUR SUPPORT! More than 11'000 signed our petition showing that the they stand with Tibet! Here are some impressions from today. 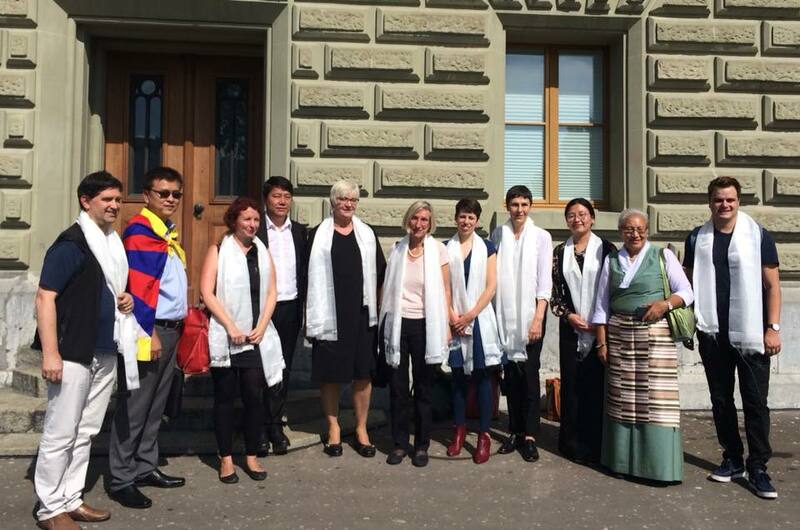 We handed in our petition with more then 11'000 signatures demanding the Swiss authorities to take action in order to protect the rights of Tibetans in Switzerland especially in the context of growing Chinese influence. BIG THANKS also for the great collaboration to Gesellschaft für bedrohte Völker (GfbV) Schweiz, Gesellschaft Schweizerisch-Tibetische Freundschaft (GSTF), Tibeter Gemeinschaft Schweiz & Liechtenstein (TGSL) and Tibetische Frauen-Organisation in der Schweiz - TFOS! Together we are strong! Bhod Gyalo! Read the interview with our TYAE Co-president Jigme Adotsang in one of the most popular Swiss newspapers. "If more and more young Tibetans are afraid to speak out and to openly express their opinion, our voice will be silenced."